A FORMER ATTORNEY general has raised concerns over proposed reforms to the legal profession – which it’s been suggested could compromise independence and result in some increases to legal costs. Dermot Gleeson, who was Attorney General in John Bruton’s ‘Rainbow Coalition’ government between 1994 and 1997 and is now one of Ireland’s top barristers, told TheJournal.ie he was worried by aspects of the reforms. The Legal Services Regulation Bill, which will be debated by in the Dáil today, proposes a new regulatory authority to oversee the profession. But its proposed structure has caused controversy, with barristers arguing that it would give the Government undue political influence over legal practice. He said such influence would affect Ireland’s image internationally. Barniville also said that the reforms – which were agreed in principle as part of the EU/IMF/ECB bailout, partly with the aim of cutting legal expenses – could result in increased costs to clients. The Bar Council has proposed an ‘oversight’ rather than a direct form of regulation, which it says would involve a much smaller staff and lower overheads. Gleeson said he was troubled by the proposed measures. “I share the concerns that have been expressed by the leaderships of both the solicitors and barristers profession on this bill,” he said. The Department of Justice declined to comment. However, speaking recently Minister Shatter said there was “no reason for concern” over the bill and rejected suggestions of undue Government influence. “The legislation sets out quite clearly that the authority is independent of the minister,” he said. Email “Former attorney general raises fears over Shatter’s legal reform”. 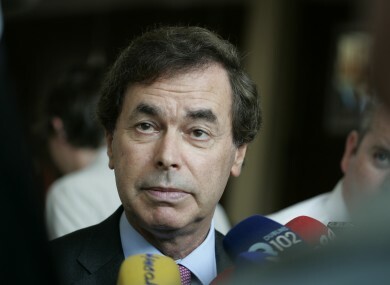 Feedback on “Former attorney general raises fears over Shatter’s legal reform”.